Peter Sommer Travels > Blog > Archaeology/History > Will the real Augustus please stand up? Will the real Augustus please stand up? Last week marked the 2000th anniversary of the death of Augustus, that most famous of Roman emperors, on August 19th of AD 14. To mark the occasion, Paul Beston, who will lead our soon-to-be-unveiled Exploring Rome tour in 2015, has written a fascinating appreciation of that complex and somewhat ambiguous character. The Via Labicana Augustus, from the last decade BC, depicts the emperor as the Pontifex Maximus, Rome’s highest-ranking priest. On display in the Capitoline Museum. 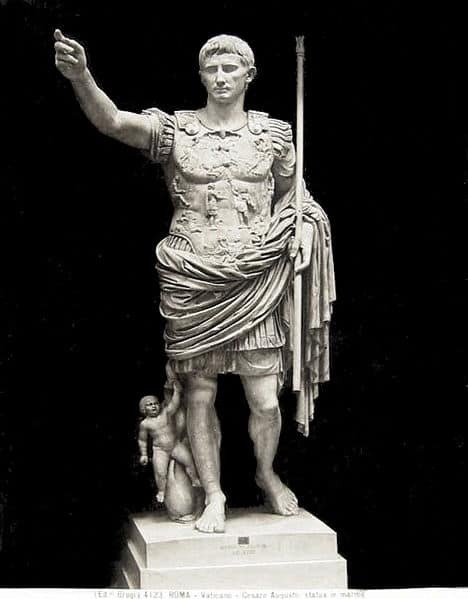 August and September were repeatedly key months in the life of Rome’s first emperor, Augustus, but it’s the former that was renamed in his honour (from Sextilis) by the Senate in 8 BC. According to the late Roman antiquarian Macrobius, the Senate’s grounds for doing this were that the Civil Wars had been ended that month. And that’s where our questions begin, since Augustus was arguably responsible for the last of the Civil Wars in the first place – why should he receive congratulations in such circumstances? Who was this Augustus, and is he worth celebrating? Or even commemorating? If we are commemorating the two thousandth year of his death, why are we doing so? What did this Roman do for us, and what should we think of it? As we’ll see, answering those questions and even finding the means to try to answer those questions is supremely difficult. Finding The Real Augustus is rather like attempting to staple fog to a tree: difficult, and possibly pointless. 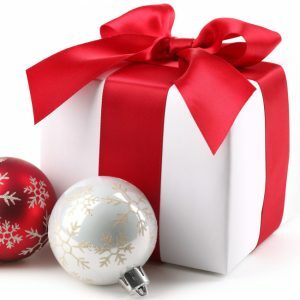 But, even if we can’t get a final answer, the questions themselves are worth considering. Augustus is surprisingly absent from our modern popular image of the Romans. Ask who the first Roman Emperor was and, if you hear any name, most people – especially if they’ve read Asterix! – will probably tell you Julius Caesar. That is of course Very Wrong. (Except that it isn’t, entirely. As with everything around Augustus, Uncertainty lies everywhere. Anyway, more of that later.) Augustus can’t be said to have had a massive impact on popular awareness through literature or films. He does appear in I, Claudius, the television adaptation of which made the baffling decision of casting this sickly, spindly character as Brian Blessed. Closer to the mark, I think, is Roddy McDowall’s portrayal in Cleopatra. He catches the right mix of calculating intelligence, amorality and threat, and his ‘Antony is dead’ speech is undoubtedly the best thing in that sprawling epic. In admiring that performance for those reasons, though, I’ve rather assumed there’s a mark to hit, and prejudicially assumed I know the Real Augustus. In short, I’ve undermined everything I said in the first paragraph. Things like that happen when you try and talk about Augustus. Bronze portrait of Augustus in the National Archaeological Museum at Athens. (Image by Wikimedia user Marsyas). Let’s begin with the name, which is as hard to pin down as the rest. 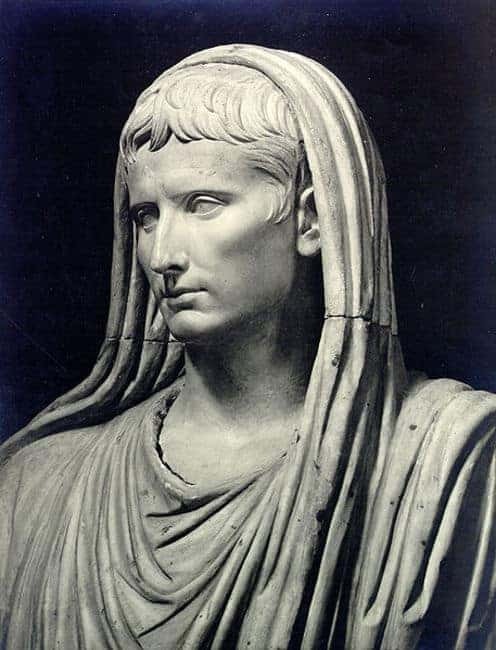 Augustus was born in September, 63 BC as Gaius Octavius. After his adoption, he became Gaius Julius Caesar, like his adoptive father. Our modern convention of ignoring this to avoid confusion between the Caesars means we tend to miss the political strength of the name in reading of Octavian’s tortuous manoeuvrings with and against the old supporters of Caesar in his rise to power (how would a ‘Caesarian’ feel about opposing this new ‘Caesar’?). After supposedly toying with taking the name Romulus with all its pregnant associations, he became ‘Augustus’, usually translated ‘Revered One’, and that’s not the end of his use of names. Also as part of his name and not mere titles, he was Imperator (‘victorious general’) and Divi filius (‘son of a god’). You could, as a Roman, in just speaking Augustus’ full name, be making a statement: Victorious General Caesar, son of the god, Revered One. Even in his name, Augustus raises questions about what he was; even in his name, Augustus is a brand. With Augustus, to name a thing is very much not to define what a thing really is. ‘Imperator’. This part of the name gives us the modern term ‘emperor’, so should be pretty straightforward: it makes Augustus the first emperor. But does it? We should be careful not to be blinded by the title, and by our habit of assigning Augustus a ‘reign’, which we usually date to 27 BC-AD 14. Augustus always deftly used existing terms to cover what he was doing. There had already been many ‘imperators’ in Roman history, as several historians have pointed out – the term was just a way of hailing particularly successful military commanders. So, looking in one direction, you can see Augustus as another in that line; looking in the other, you can see him as a remarkable novelty. It would be difficult to imagine someone calling Augustus ‘emperor’ in his lifetime and meaning it in the way we do, or of thinking in terms of a set reign. Augustus’ powers were not set in stone from 27 BC – they evolved, were negotiated – and extorted – over the long course of his life. It’s been argued, with a lot of plausibility, that we can’t really talk of ‘emperors’ until the name and powers are passed on, beginning with the ‘accession’ of Tiberius in AD 14. There’s no one moment, bizarrely for such a mighty and important entity, where we can say ‘the Roman Empire’ began. That doesn’t mean the hunt isn’t important and worthwhile. Yes, there had been other imperators before, yes Augustus is just the latest in some ways. But look at what happens then: the term begins to be restricted to ‘the’ imperator (just as we start to speak in this context of one ‘princeps’, which gives us the word ‘prince’). That restriction, achieved partly by suggestion, partly by self-censorship, does mean something and does mark an important change in a way that’s characteristic of the frog-boiling manner in which the empire came about. Augustus’ success comes in part because it wasn’t always clear where the changes were coming. 19th century photograph of the Prima Porta Augustus, one of the most famous exhibits in the Vatican Museums. It was probably created after his death in AD 14. The contradictions continue: in many ways, he is like a king but defiantly avoids any such label, being granted titles and using terms indicating authority, prestige and respect without letting slip any automatic legal right to having his way. 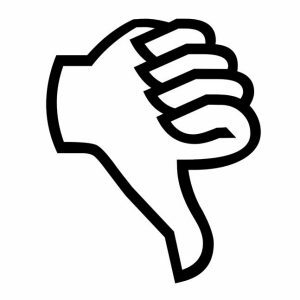 In politics, once established, he often worked in the same fashion: suggesting, allowing his opinion to be known, renouncing friendships to indicate displeasure and so on: very rarely is Augustus direct. Since he wasn’t a king, there was no palace, even though his palatine home is what gives us the word. He lived in a house which we are told was relatively modest, and if the identification of his bedroom in the surviving building on the Palatine is correct, it wasn’t particularly lavish. It just happened to have a temple attached was decorated with his awards from the Senate – it was a modesty so ostentatious that its imagery was copied around the empire on everything from coins to lamps! True, there is the great Mausoleum of Augustus, which can be seen on our forthcoming Rome tour and was truly ‘imperial’ in scale, but that belongs to his early period while he was still feeling his way and prone, like Antony, to some non-traditional, un-Roman and too-open ways of expressing his power which would recede as time went by. 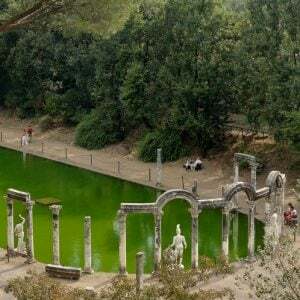 Maybe more interesting is the magnificent Forum of Augustus, also to be seen on our tour. In its pristine beauty, this was one of the finest monuments in Rome. In its long porticoes stood statues of the greats of Roman history, with Augustus’ riding a triumphal chariot in the courtyard. 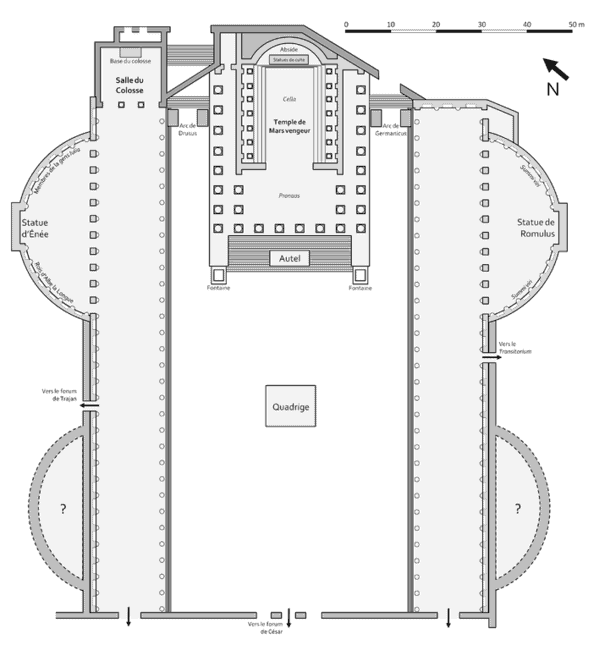 A plan of the Forum of Augustus (labelled in French, but you’ll get the drift).Plan bz Wikimedia user Cassius Ahenobarbus. You’ll notice a certain very un-classical lack of symmetry in the building’s rear and an unusual siting, which Suetonius tells us was due to Augustus being unable to buy enough land to accommodate the original plan and ‘not daring to expropriate the owners of the adjacent houses’. This is a pretty interesting story, but once again its significance is difficult to be sure of. Does it show how free Rome was under Augustus? After all, the owners of the land evidently felt no fear in not selling, and Augustus, so the story goes, did not feel he could force them. Or does the story function the other way around and work only because Augustus could be expected to use his power if he wished, but chose not to? Could we even suspect that the whole story was got up by Augustus’ friends or propaganda machine if you want to believe in such a thing, precisely to show how un-monarchical and untyrannical Augustus was? As you’ll have appreciated by now, almost nothing said about Augustus has only one possible meaning; that’s what makes studying him so fascinating. 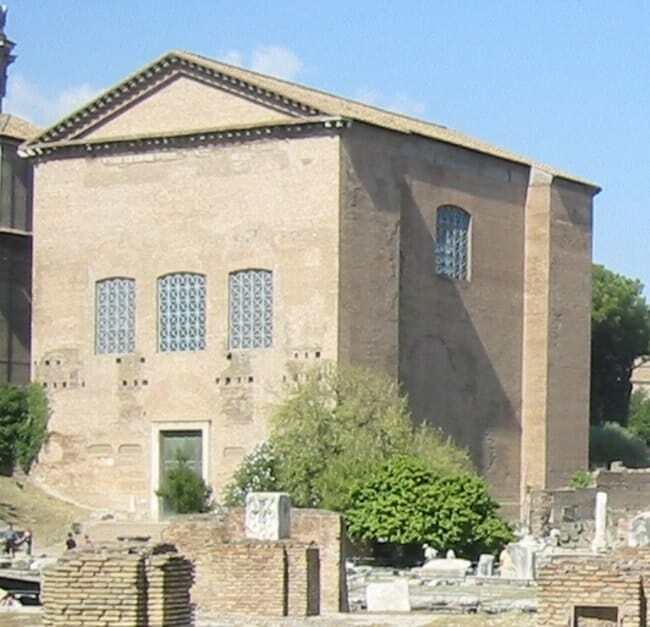 The Curia Iulia in the Forum. It was rebuilt by Augustus, but subject too repeated restorations later. (Image by Maximilian Blömer). So, the man himself is hard to pin down. Does that leave us much to mark? I’ve said already that we can’t say there is a single point at which the Republic becomes the Empire, but that doesn’t mean he’s not a key figure in the process. He’s, rightly, seen by a lot of modern scholars as a transitional figure, but that’s what makes him so important. He sets the terms of the transition, even if he’s not ultimately responsible for how things turns out. He refuses to either adopt a straightforwardly Greek-style open monarchy or continue with old and discredited Roman means of extraordinary power like the dictatorship. That makes him the model for how the Roman idea of Empire would develop. He brings the provincial governors under control and provides Rome with an army that looks much more like we’d expect a standing centrally-controlled army to look. This remodelling and regularising of existing ideas to achieve a radically new result is typically Augustan. It established two of the pillars that made the Roman Empire as an institution fairly stable and allowed continuity even in the midst of civil wars or dynastic squabbles – a major achievement. The same mix of revolution and evolution applies to the Senate: not abolished, but co-opted and made an essential part of the imperial way of doing things – as the existence of the late imperial Senate House in the Roman Forum shows, this was another lasting Augustan decision. 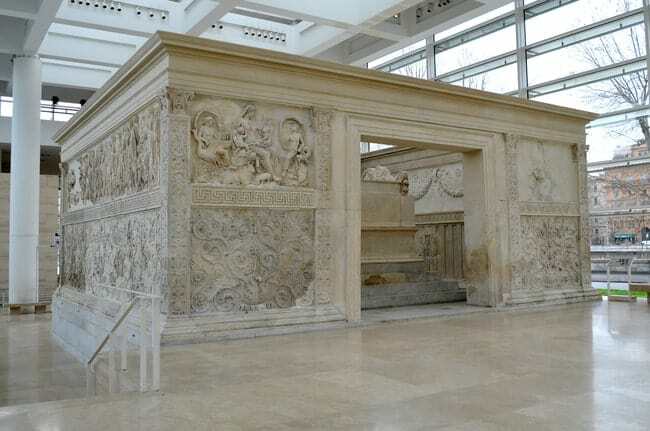 The Ara Pacis, or Altar of Peace. Culturally, Augustus is a significant figure, too. Physically, his mark is all around the city which he famously said he found in brick, but left made of marble. Buildings like the Theatre of Marcellus, the Augustan Sundial (for the full story of which, you’ll have to come on the tour!) and the sublimely beautiful Altar of Augustan Peace and sponsored authors like Livy and Horace blended a Roman style that still stands as definitive today. When we think of Roman art or literature, we too often unconsciously mean Augustan and see any changes from that as ‘less’ Roman. At the same time, Rome’s empire was becoming increasingly, gradually, integrated with Rome and Italy. More Roman soldiers and colonists went out to the provinces on a permanent basis and rising numbers of non-Romans became Roman citizens, despite Augustus’ showy personal emphasis on remaining properly Roman, and his very Roman disdain for foreign ways. When the inscribed record of Augustus’ achievements called the Res Gestae was set up, it was not just done at Rome: copies appeared through the Empire, including the best-preserved and most famous at Ankara (ancient Ancyra). Rulers and ruled were – slowly – knitting themselves together and would continue to do so in large part because of Augustus. 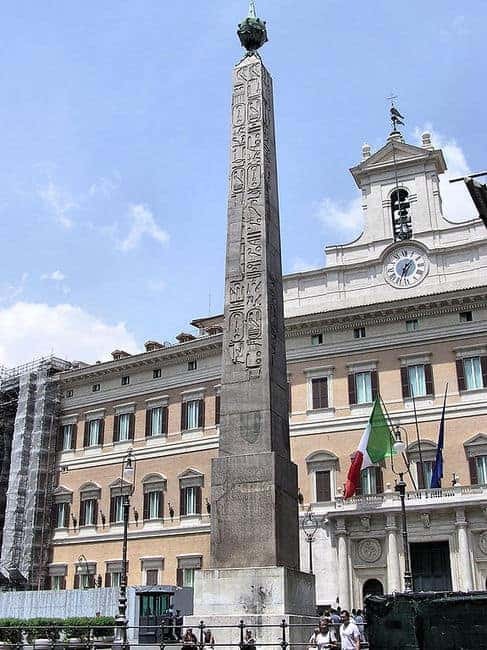 The enormous Montecitorio Obelisk. 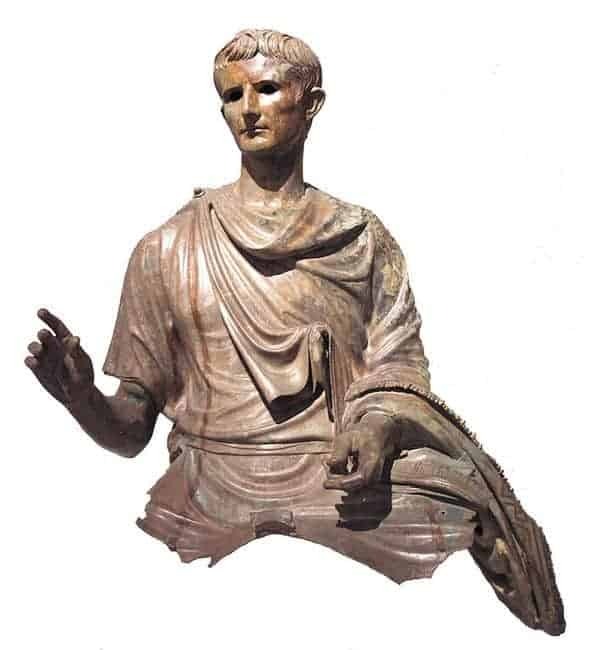 Augustus had it brought from Egypt to Rome to serve as the gnomon (the shadow-casting part) of the huge Sundial of Augustus (Solarium Augusti). If this is a slightly hazy answer – that Augustus set the tone and established the broad pattern and direction of the Roman Empire, rather than fixing everything in stone from a particular moment – I still think it’s on the right lines. That pattern was altered as decades and centuries passed, but the outline owes a lot to Augustus, and that alone makes him one of the most important individuals in our shared history. He also remains one of the most enigmatic: a traditionalist revolutionary, a Caesarian who rejected much of Caesar’s methods and legacy, a republican monarch, a recipient of worship who recoiled in horror at being called ‘lord’, a parochial Roman who constantly employed foreign ideas (though that is also very Roman!). Seeing Augustus’ contradictions is essential in trying to understand him, but recognising there is no one “him” to understand is half the battle. Another paradox. Augustus is unquestionably important and makes us ask some uncomfortable questions of what we want in a leader. Under him, as we saw at the beginning of this piece, the civil wars did end, after much bloodletting for which he was often personally and cruelly responsible. He brought a stability, maybe an unpleasant one, but one that certainly contrasts with the disorder of the Late Republic. Does the long imperial peace which he arguably ushered in make the conflict and suppression a price worth paying? Does the expansion of Roman civilisation, and the course it set European and world history down make him a good thing, or at least a necessary evil? It’s a hard question which greater historians than I (hello, Tacitus!) have ducked. We can at least say that Augustus, if not a likeable man, was an important one whom we should commemorate. That, even so, we tend to say his name only unconsciously through the month named after him, subconsciously echoing his importance, is oddly appropriate. You can explore many of the monuments referred to here, and more, on our Exploring Rome tour (details to be announced shortly), guided by the author of this text himself. You can also meet Augustus on many of our other tours, e.g. 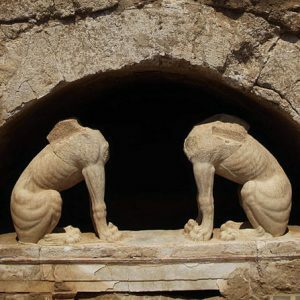 by visiting the Temple of Roma and Augustus at Ankara with its famous inscription of the Res Gestae, on Walking and Exploring Cappadocia and the Land of the Hittites, or by admiring an extraordinarily fine bronze portrait of him in Greece’s National Archaeological Museum on our Exploring Athens tour.